It’s very important to learn how to judge how much time each project really will take, plus how much time you really do have to work on it each work day. You don’t want to take on two projects that both take 40 hours of work, and say you’ll be done with them both on the same day, in a week. It’s completely impossible. So get real about time and how much of it you have (or don’t have as the case may be). Every project should be its own entity with its own timelines, milestones, and deliverables. Even if the work is for the same client, you will want to organize each project a client gives you on its own merit. It doesn’t matter if you choose to use a calendar system, a folder system, or a full-fledged project management system – organize each project so that you can clearly see what needs to be done each day to reach your goals. Even if everything you do is on your computer, you need to create a standard filing system within your computer that makes it simple for you to find projects and pieces of projects. Keep separate folders for each client, with a separate folder for each project. It helps if the projects are organized by due dates on the computer. This means that your naming convention revolves around the due date, the project name, and the client’s name. That way when you open a client file you’ll see a list of files that automatically organize themselves by date if you name them with the date first. You can take that further so that when you click on each project file, inside is another list by date of “to-do” items. If you don’t want to keep a good filing system on your computer, you can keep everything organized on the project management system by client and date there. You can even set it up so that entries go directly into your calendar so that you know what to do on any given date. No matter which type of system you use, nothing can beat a good calendar. Many people use online calendaring systems now such as Google Calendar or even Outlook, and there are others that will sync with your phone and all your other devices. This way, you can see at a glance what you need to work on at any given date or time. You can easily look at it when talking to potential new clients and quickly determine whether you can take on a new project or not, and when. By prioritizing each project based on due date and how long it will take you to accomplish, you’ll be able to handle multiple small projects with ease. Don’t forget to schedule in the work you have to do for yourself, too – in other words, treat yourself as a client as well. 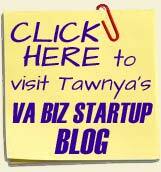 This will help you avoid letting the ball drop when it comes to your own business needs. 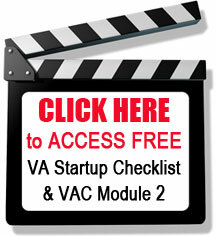 How do you keep your Virtual Assistant Business organized? 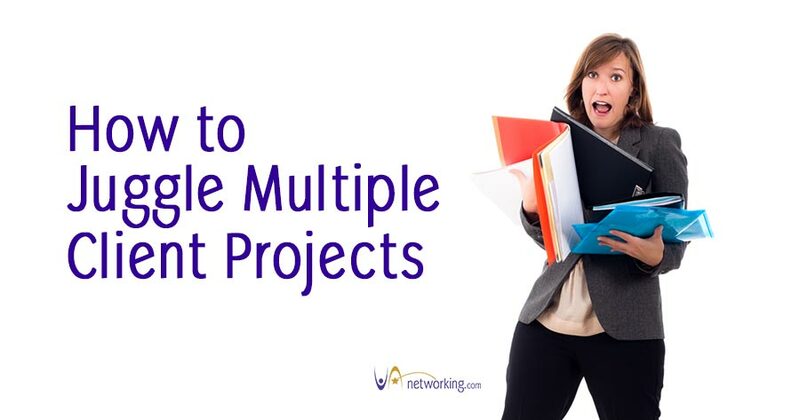 Want more tips and strategies on how to juggle multiple client projects? 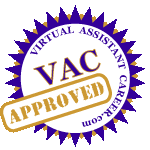 Join our FREE Virtual Assistant Networking Forum.